If cars were judged based on how cute their face is, then the 2018 Mazda2 (also known as the Mazda Demio in its native market, Japan and some other markets) would be among the best cars in the world. However, it’s obviously not just about looks, since cars nowadays, even small city cars, need to be fully featured, well-rounded vehicles that you can even drive on the highway without it feeling daunting. Thankfully, the pint-sized Mazda2 proved to be thoroughly competent in all those areas and more – it even surprised me on a few occasions. But returning to looks for a second, the Mazda2 is certainly one of the most daring vehicles in its class, only really matched for visual impact by the Peugeot 208 – in the trinket-laden Peugeot’s presence, the 2 can almost be described as sculptural. Its interior is equally daring, and even if it can’t match the best in class for fit and finish quality, it’s still pleasant to spend time in it. 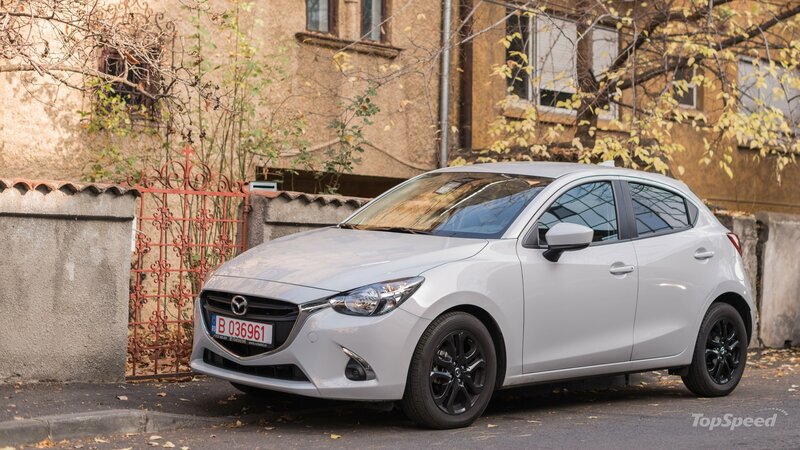 But what many owners and possible future buyers of the Mazda2 may not know (and never find out if they drive slowly and sedately) is the fact that the little 2 is a hoot to throw around – it has fun but predictable handling, and it really puts a smile on the spirited driver’s face much more so than most rivals. If you live in North America, you can actually buy a sedan version of the Mazda2, however, it wears a Toyota badge and is called the Toyota Yaris sedan; previously it was known as the Scion iA.